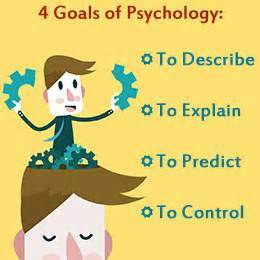 Define Psychology and its goals. Explain the science of psychology. Identify the major research methods. Apply tested study skills to your class. Describe how psychology applies to human genetics to help explain human behavior. Describe the anatomy and functions of neurons. Describe the structure and functions of the nervous system. Identify the major structures of the brain and their roles. Some of the questions should be application based. Each question you create should demonstrate some critical thinking and creativity in presenting the material. Use your books, notes, and laptops. We test take in the last half of the class! What is NOT true when defining psychology?